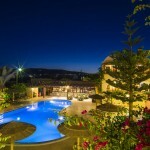 Smaragdi Hotel lies at one of the most famous beaches of Santorini, Perivolos. 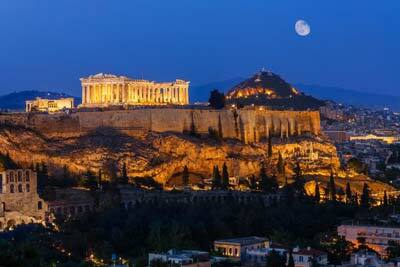 It is one of the most cosmopolitan and developed islands of Greece. It combines traditional elements along with all modern luxuries offering to its’ visitors high quality services. Ideal for any kind of tourism, since the tour around the island covers a wide variety of interests. 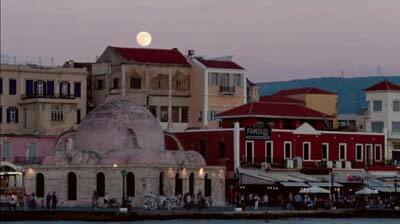 Significant archaeological sites, numerous churches with their characteristic architecture, picturesque settlements as well as black sanded beaches will cause you strong, unforgettable emotions.The island’s uniqueness is owed to its famous Caldera. The whole island is a creation of the volcano. The wild landscape with the black rocks sweetens by the traditional Cycladistic settlements which lay around the Caldera composing an extraordinary image. The magnificent beach of Perivolos, which is the natural extension of Perissa beach, stands out for its unique black sand – characteristic of the volcanic nature of the island – and its excellent organization. It offers all comforts and the possibility to enjoy water sports. Smaragdi is an A class Hotel, which follows the traditional cycladic architecture at its exterior and interior decoration. The hotel offers all modern comforts to its guests such as a large swimming pool, pool bar, breakfast room, playground, currency exchange, Jacuzzi, etc. The hotel rooms are spacious, sunlit and well taken care to the last detail. They are all fully equipped in order to make your stay here more pleasant. The hospitable atmosphere, in combination to the trained and pleasant personnel, which is always at your disposal, will make you feel at home.